Nightingale Doggie Lodge offers an array of services for dogs including boarding, grooming, training, day care, and pickup & delivery. Our facility is over 2,400 square feet, providing dogs with plenty of space to exercise and rest their paws! Including the towns of Bridgewater, Carver, Lakeville, Middleboro, Plymouth, Taunton, and Wareham. Our Clients rave about our Dog Services! 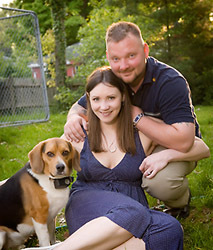 "My wife and I went away for our honeymoon, and felt great about leaving our dog, Bubba, at Nightingale. The staff is very friendly and I could tell that they truly care about the dogs. When we got back from our honeymoon, Bubba was full of energy, clean and shiny from his bath, and happy as can be!" - Brandon Lapham, Plymouth, Mass. "Dakota is always excited and happy to be here. I feel confident in the staff that they are taking care of my family member while I can't. Dakota has endless energy and coming to Nightingale is a great place for her to expend all of it." Even The MacDonald's dog, Dakota, had great things to say!! "We planned a family vacation which meant it was the first time leaving our two Puggles, Hughey & Deezy, who might as well be our two children. They weren't even a year old yet. We had just recently found out that our little guy, Deezy, was terminally ill with kidney disease. This made our decision to leave him at a kennel extra tough. We took the time & checked different places until we found Nightingale Doggie Lodge. We knew instantly this was the place we could trust & they did not disappoint. By the time we got back to pick them up, it was obvious they were happy to see us, but they were very comfortable around the Nightingale Staff, which knowing our two dogs, is huge. It takes lots of love for them to be happy around you. Both my husband Tom & I along with my adult daughter Krissy, would more than recommend leaving your dogs here. They'll be in great hands." Tom, Maureen & Krissy Perry - Plymouth, Mass. "After years of not taking a vacation, my family finally decided to do so. We had never left our "kids" anywhere before. After an extensive research and visiting several places, we chose Nightingale Doggie Lodge. 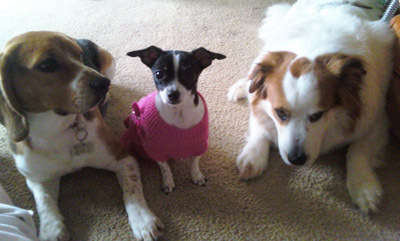 They took great care of our three dogs - chihuaha, border collie/husky mix and beagle. They were able to accommodate all of their needs and the dogs were very happy and healthy when we came back to get them. This place is clean and the staff is very nurturing and attentive. We now take vacations and don't worry that our "kids" won't be happy. I would highly recommend Nightingale Doggie Lodge!" "Baxter and Brandy have been going to Nightingale Doggie Lodge for quite a while now. Whenever my family travels, we all know that our dogs are happy and in great hands. The best part of all is that a Nightingale Staff member comes to my house to pickup and dropoff the dogs around my schedule. What else could I ask for?? Thanks Nightingale!" - Bob Sullivan, Plymouth, Mass.